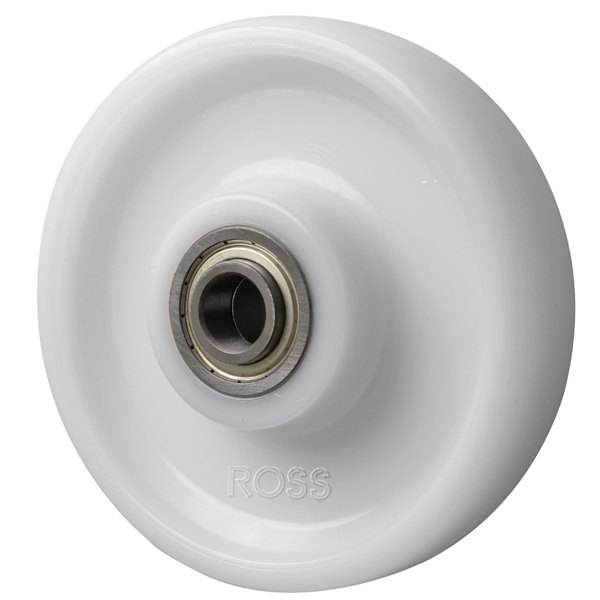 Our Industrial Polyurethane Wheels are available in five sizes, with or without roller bearings. With a White Nylon core our polyurethane wheels are bonded for extra durability, yet run more quietly than standard nylon wheels. Ideal for warehouse and industrial applications. You can choose from our range of polyurethane wheels to have either a 12mm bore or a 20mm bore to suit your application. For more information please click the product code or call our team for friendly advice! HSUB Polyurethane wheels are a popular heavy duty wheel with a cast iron core and a polyurethane tyre. Choose from 6 diameter sizes and 4 bore sizes. These extra strong wheels are suitable for industrial and heavy duty applications. The cast iron core giving these polyurethane wheels additional durability and strength. Move equipment with over 1 tonne castors up to 7 tonnes. PAL Series Polyurethane wheels on an aluminium core are an economical alternative. With load capacities of up to 800kg, there is no compromise on strength. Our range of nylon wheels and polyurethane wheels are our best selling wheels as they are suitable for most applications. These wheels can take loads from 100kgs up to 1800kgs each, and can be used in industry, on equipment, as pallet wheels, trolley wheels, and are suitable for rugged environments.